Merino provides a soft, squishy, and versatile base. Yak adds a unique silkiness to the yarn that knitter fingers will simply love. Finally, linen, a fibre with a deep history in Irish culture, adds stength and durability. The colours in Nua are some of Carol Feller's favourites, inspired by where she lives in West Cork, Ireland. The wide range of subtle natural shades punctuated with some vibrant accent colours create a palette of seasonally inspired complementary colours that are a pleasure to work with and to look at. 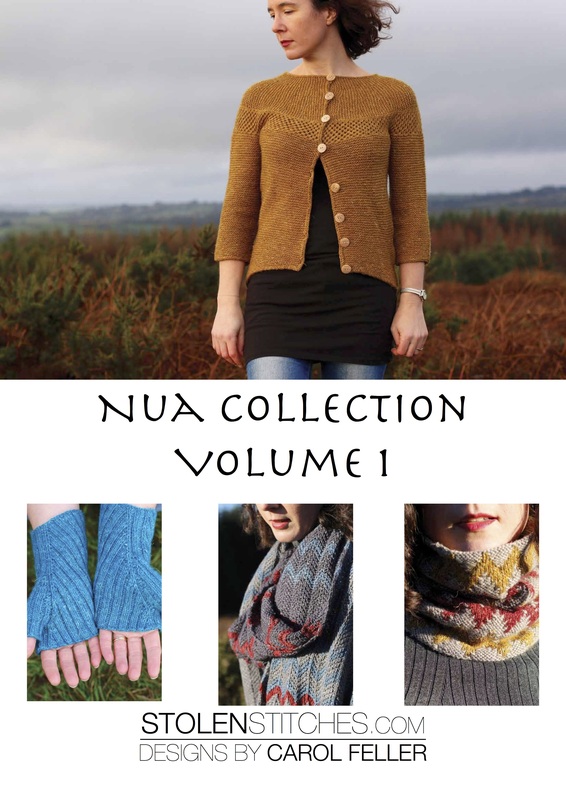 The Nua Collection 1 book accompanies this yarn and contains 4 beautiful patterns.